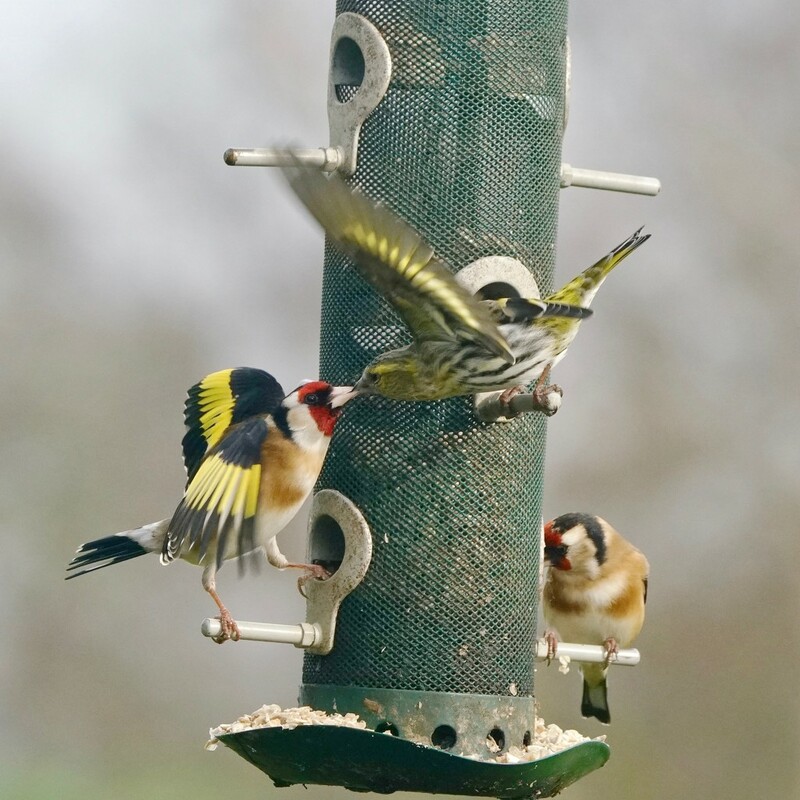 Well, with a Goldfinch below and a Siskin above they are both finches, as such could be described as cousins. But these two are certainly not kissing. It was a very noisy argument over who could have the best perch. Great timing. Love this shot.